While there are many awesome features in iOS 12, there's one that has got the best of me and my patience. Sending photos and videos in a text or iMessage. Yes, there are a few ways the process remains the same, but if you select pics and vids right from within the Message app, be prepared to be annoyed ... highly annoyed. Before I get a ton of responses about how this hasn't changed at all, let me say that nothing is different when you're in the Photos app; Select a pic or video, tap the share icon, then "Message" in the share sheet. It will do the same thing as always, opening up a compose message screen with the media embedded. All it needs from you is a recipient and, if you want, a written message to go with it. What I'm talking about is sending your photos and videos from within the Messages app directly. Before, you'd tap the camera button next to the text input field, then choose "Photo Library" to select what you want from your Photos app. Well, Apple has made this whole process different, so tapping the camera icon next to the input field in a thread no longer gives you the option to choose from your Photos library. I've been running iOS 12 since the very first developer beta in June, and EVERY SINGLE TIME, habit gets the best of me. I tap the camera icon, which just opens the camera with all its new effects (which the Photos app can't use). This wouldn't be such a big deal if choosing photos and videos within a Messages thread hadn't been the exact same process since MMS became supported on iPhones back in iPhone OS 3. Yes, it was that far back, before iOS was even called iOS, that you would just tap the camera icon to select from your Photos library. Now, be prepared to tap more times than you did before. 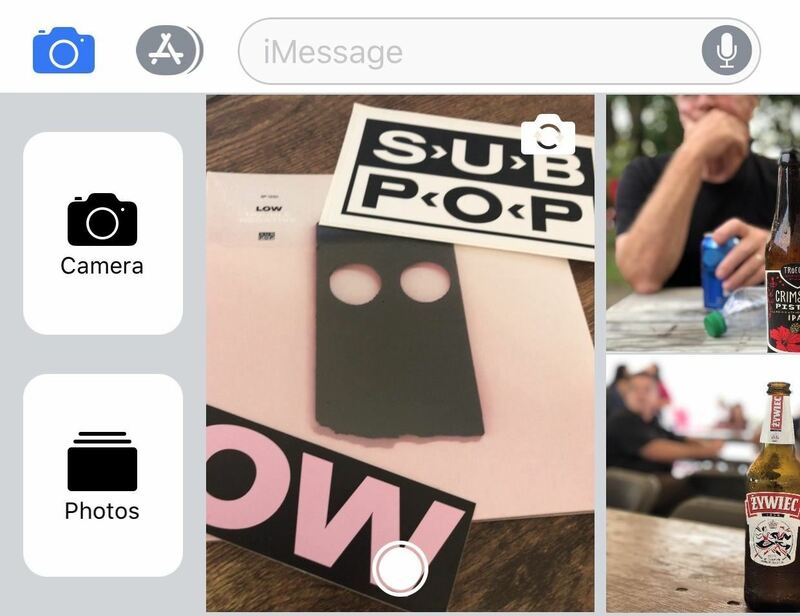 You're likely to keep tapping that camera icon for months, at least, then closing out of the camera you didn't want to select the Photos app icon in the App Drawer for Messages, which is now the location in iOS 12's Messages app that houses your already-taken media. Maybe one day my brain will be retrained to tap the Photos icon instead of the camera icon, but it's been almost three months, and it hasn't yet. It's even more frustrating when you like to hide the App Drawer. Sigh. To me, that seems like a slight improvement. The big offender really is them swapping the emoji and ".123" keys on the iPad keyboard. That's driving me mad. To each his own. As for the iPad keyboard swapping keys, I can see how that'd be annoying. Bless you. I just googled this topic in desperate hopes of finding someone as frustrated as I am. I never realized how many times I text the most recent photo taken until they took away that feature. Also, thanks for making it upper-left corner where I have to double-click the home button in order to reach the button one-handed.